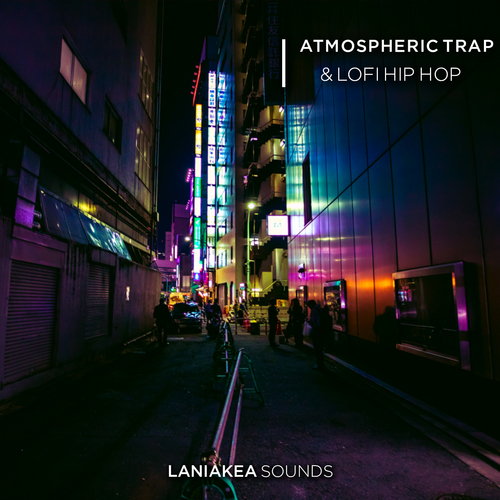 Laniakea Sounds are proud to announce “Atmospheric Trap & Lofi Hip Hop” – a melodic, organic and wavy mixture of underground trap and chill hip hop ingredients that have been created to put new vibes and inspiration into your tracks. This Atmospheric Trap & Lofi Hip Hop collection features over 800 MB of content and provides you all that is needed to design an authentic grooves: lowkey beats, smooth toy pianos, vintage rhodes, 808 bass samples, unique ambiences, lush pads, fender guitars and atmospheric vocal loops. Also there are MIDI files of chords and melodies and presets for Reveal Sound: Spire! Atmospheric Trap & Lofi Hip Hop sample pack comes in a range of keys and tempos, between 125-140 BPM, and will fit perfectly to Hip Hop, Trap, Trip Hop, Chillout and any other related genres.